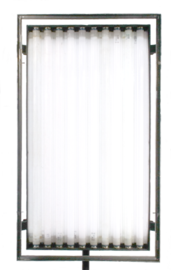 Designed with efficiency and economy in mind, the Wall-O-Lite is a ten-lamp fixture operated by a built-in ballast. The Wall-O-Lite is flicker-free at any camera speed or shutter angle. For maximum control, as few as five lamps can be powered at high output. One fixture can put out as much light as a 2.5 K HMI fresnel bounced off of white foam core. With its narrow profile and unparalelled adaptablity, the Wall-O-Lite is perfect for constricted shooting spaces. 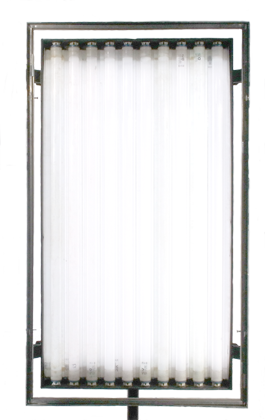 Whether it's mounted on a junior stand or hung from a pipe, the Wall-O-Lite is the perfect broad lighting solution for any environment.